“The greatest fundraising machine in the history of America”: Will Compass’ new $100M round silence the skeptics? With $325M in VC money, can the brokerage break away from the pack? For nearly five years, Compass’ rivals have told a well-worn story that goes something like this. It has too many engineers. It’s spending too much. The concept can’t last. Investors will lose their money. The company’s $100 million funding round this week has prompted a gut check from industry stalwarts, however, who are no longer predicting Compass’ demise. “They are the greatest fundraising machine in the history of America,” joked Aaron Graf, CEO of lead-generation brokerage LG Fairmont. He said Compass’ successful Series E — along with Redfin’s IPO in July — are a proxy for how investors view real estate tech. “People are willing to bet on it,” he said. There’s still plenty of skepticism from traditional operators who said it’s unclear how Compass can justify a $1.8 billion valuation. The company has raised $325 million to date from investors, and the latest round included funding from Fidelity Investments, IVP and Wellington Management. Since its founding in 2013, Compass has grown to 2,000 agents in 10 regions, with plans to add another 10 markets by 2020. It claims it had $180 million in revenue last year and is on track to make $350 million this year. While brokerage valuations are typically based on multiples of a firm’s earnings, Compass is instead being evaluated as a tech firm — which is why there’s a strong chorus of voices claiming that the valuation is not realistic. “I’ve been doing this for 30 years, and I don’t see any basis for a $1.8 billion valuation today,” said Steve Murray, an M&A consultant and founder of RealTrends. Armed with its venture capital war chest, Compass became the industry’s most aggressive poacher, the firm that everyone loved to hate. Mauricio Umansky, of Los Angeles-based brokerage The Agency , termed its recruitment strategy “horrendous and disgusting,” and predicted it would flame out in five years. Douglas Elliman’s Howard Lorber divined an even speedier demise. After news broke of Compass’ hefty valuation, rival firms begrudgingly admitted the brokerage has proved to be a viable competitor. “They are still here and growing,” said Bess Freedman, Brown Harris Stevens’ managing director of sales and business development. Nest Seekers International CEO Eddie Shapiro called Compass’ rapid ascent “quite amazing,” and noted that the valuation is a good thing for the entire real estate industry. “It elevates all of our valuations and introduces a new approach for the investment community when thinking about real estate brokerages as viable opportunities,” he said. But one brokerage head suggested that Compass has exaggerated things like how long it takes to come up with comps in order to promote the effectiveness its technology. “They have done a great job of telling a story, in my mind, that’s not really true,” the source said. But critics said Compass’ tech focus won’t eliminate the reality of running a low-margin business. 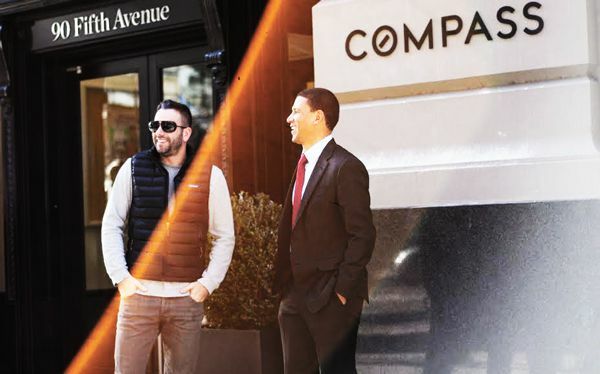 “It certainly helps, but it’s hard to change the fact that the success of the Compass model will be based on traditional brokerage metrics,” said Stuart Siegel, CEO of residential brokerage Engel & Völkers’ New York City operation. “Converting market share, especially market share that comes with a high price tag, to dependable EBITDA [earnings before interest, taxes and depreciation] is virtually impossible without curtailing spending and top-line growth initiatives,” he added. Compass has been coy about its endgame — saying it’s backed by patient capital — but many speculate it plans to go public at some point. Even before then, however, it’s likely that investors will want to see returns.